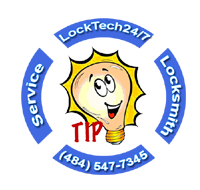 Locksmith tips and tricks to help you solve your lock and key issues. Tips and tricks to Help You Fall Asleep Faster when you solve your lock issue and know you know you secure your home again. A new study confirms suspicions that poor sleep lowers immunity. With this in mind, if you can’t solve your lock problem by yourself. You can enter our locksmith FAQs page, or if you need our professional locksmith services, please call us. Your security is a deadbolt, not a door knob. Install a 180-degree peephole so that you can inspect your hallway without opening your door. If you have a window on or near your door, a thumb-turn dead bolt won’t do much good. They knock out the glass, stick a hand in, and turn. Get a double cylinder lock that needs a key on the inside. Lock your doors and windows as well as having a security system. Still a skilled intruder can use many different tools, such as key pumping and lock picking. Turn off the telephone ringer when you are away from home for an extended period. An unanswered telephone signals to intruders that no one is home. When you buy a new home, always have your locks rekeyed. Otherwise there’s probably a master key out there that can easily open your home. If you will be travelling away from home there are some precautions to make as well when it comes to security. Stop any deliveries that could back up over time, such as the newspaper. Ask your neighbor to collect them. 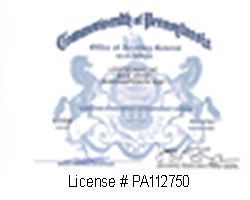 Ask to see the identity of someone claiming to be from the utility or telephone company. A genuine worker will be pleased that you asked and will give you their card. Inspect the card carefully before allowing them to enter your home. If you’re locked out, please call just one of us. More than once, I arrived at a lock-out to find two competitors’ trucks already there. At that point, we all agreed to leave and abandon the inconsiderate victim. Never tell me, “Don’t worry. It’s an easy lock.” Every time someone says that, it takes an extra ten minutes to get it open. It’s the kiss of death. Use the best quality locks leading to your fire escape. Don’t believe a car dealer who says only he can duplicate keys. In most cases, a locksmith who specializes in automotive work can make you a key—usually cheaper. High level security is recommended by the Police Department and Insurance Companies. Tune the stereo or TV to your favorite station when you leave the house. To a burglar it means that someone’s home. Have a housekeeper who needs a key? Ask me to key your door so that your master key works on both the dead bolt and the doorknob, but hers works just on the knob. On the day she comes, lock only the knob. Buy the highest level of security that your budget will allow. Lubricating the garage door torsion spring with light coat of oil will result in longer life for your torsion spring, it will reduce the friction between the coils as well as smooth & quiet operation.